Don't be intimidated by your first foodscaping venture! Brie The Plant Lady is here to walk you through the whole process as we welcome spring in all its glory. As a lifelong gardener and horticulture professional it is my mission to inspire every person I meet. I mean, how could anyone resist the joy of growing plants? Actually, I can totally understand how many feel overwhelmed by the “work” of gardening, which is why I encourage everyone to start off small and really understand how to fit gardening into your lifestyle, no matter what resources you have available. You see, growing food isn’t an all-or-nothing proposition. Some seasons you may have more free time and can devote the energy to growing a vast array of crops. But, let’s be realistic, that may not always be the case. 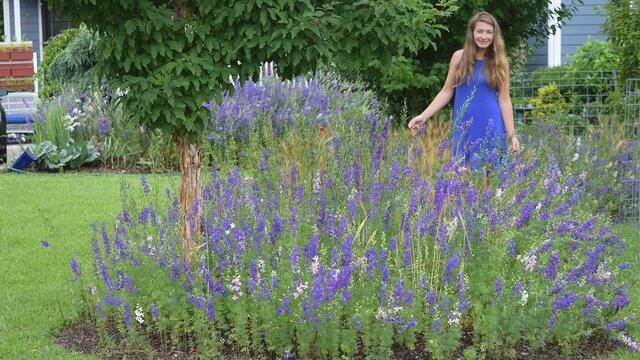 I can say firsthand, as my career has evolved in the past 5 years, I have less and less time to play in my garden. That reality has forced me to learn to grow efficiently by growing practical crops in easy-to-access spaces within the boundaries of my landscape. The whole “Foodscaping” concept is really quite simple – integrate seasonal edibles with the ornamental plants in your existing landscape. No need to rip out grass or invest in expensive lumber. 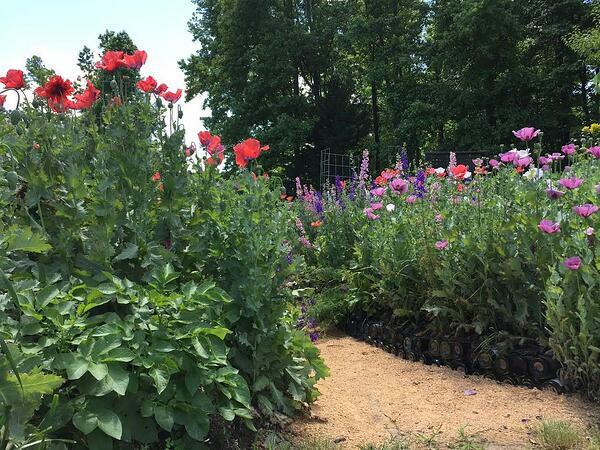 Look for open mulch space in a sunny area and use it! This isn't a new idea. In fact, the strategy of planting food crops in convenient locations goes back centuries! 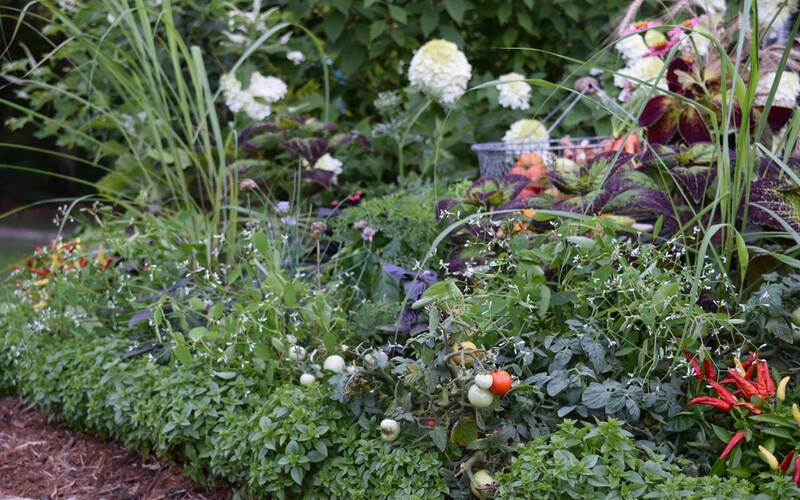 From cottage gardens and French potage to the edible landscapes described by Rosalind Creasy, Foodscaping is just a modern term for a logical and easy way to grow meaningful amounts of food in the space you have available. Of course, the critical ingredient for successful vegetable growing is soil preparation. If I’ve said it once I’ve said it a thousand times, you will never have a green thumb if you don’t invest in quality compost. This is why Soil3 is truly the most important part of your gardening experience. 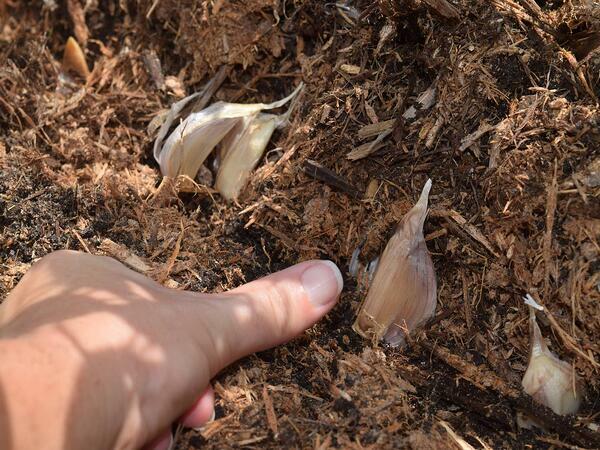 This compost works like magic by providing exactly what your plants need. The process is easy – topdress the area that you want to grow vegetables in with 2-4” (or more!) of Soil3 compost. Then you can direct seed or transplant into that black magic and walk away. This will reduce your need for fertilizer and long-term irrigation while ensuring your plants will be healthy all season long. 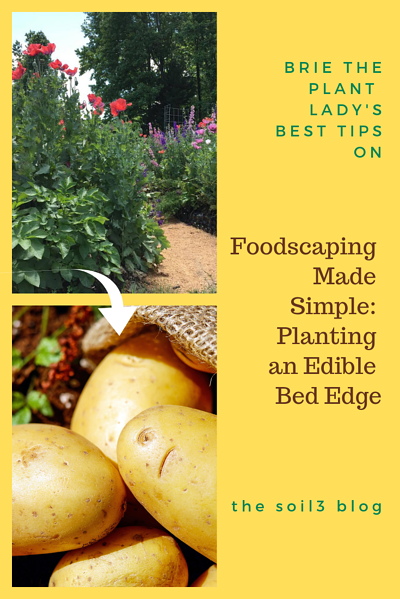 You can start Foodscaping by planting bed edges – you will be amazed by how much square footage is available. 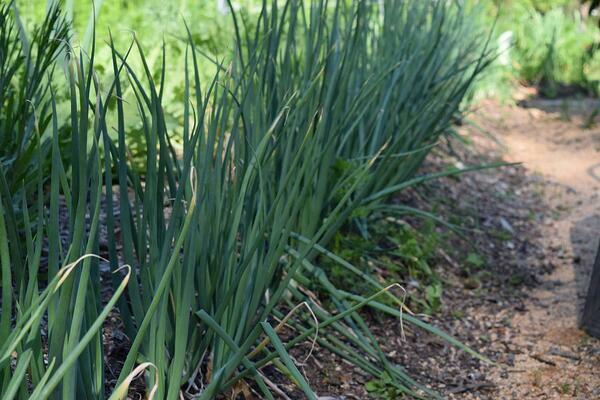 Bed edges are an ideal place to start growing vegetables because it is easy to access for watering and harvesting. Edge plantings can also make a major a visual impact. I had a professor in college explain that any combination of plants could make sense with a tidy edge. That advice continues to inspire me as I look for creative ways to teach others to grow. 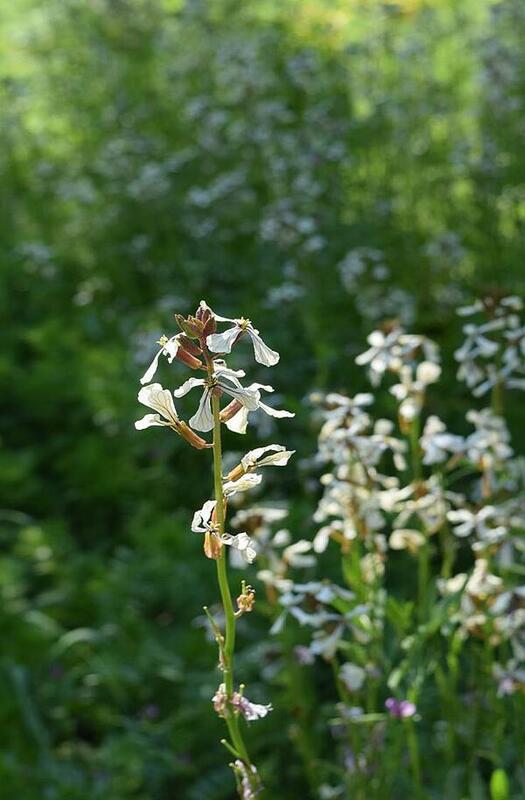 My top picks for bed edge plantings include traditional Southern agricultural crops like peanuts to hardy greens that self-sow such as arugula. My rule of thumb is any plant that grows 24” or less is a good candidate for bed edging. My best recommendation for plant selection is to consider what you eat on a regular basis, then plant that along a sunny border. For me, I like to stick to practical things like garlic, onion, and potatoes because we eat those on a near daily basis year round, and the more I grow the less I will need to buy! Mammal browse is a huge problem, especially in residential neighborhoods. I spend a lot of time trying to figure out ways to deter them. From fencing to repellents to motion censored irrigation, I will try every method in an attempt to protect my crops! Admittedly, I don’t believe that any plant is truly “mammal resistant” (honestly as soon as you say that a roaming creature will prove you wrong!) 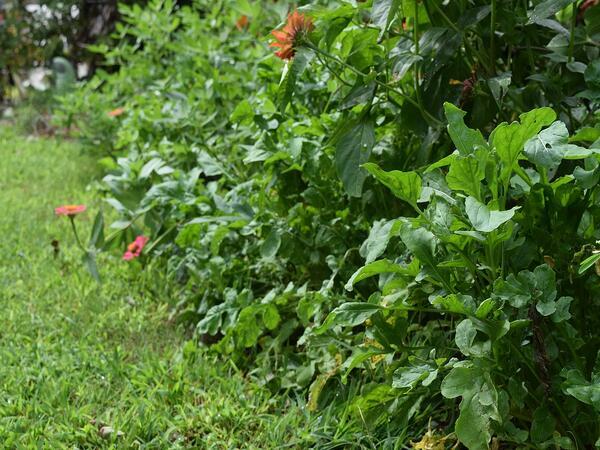 but there are a few plants that can help reduce browsing damage from deer, rabbits, groundhogs, moles, and voles. Consider planting these edibles in your bed edge as a first line of defense. For example, garlic and onions will help ward off in ground mammals, specifically moles and voles. The smelly bulbs that we love to eat will drive them away. A great summer option is the dwarf ‘Micrette’ basil which has a strong, bitter flavor that bunnies hate! Solanaceous crops like peppers and potatoes are great because their foliage is actually poisonous. 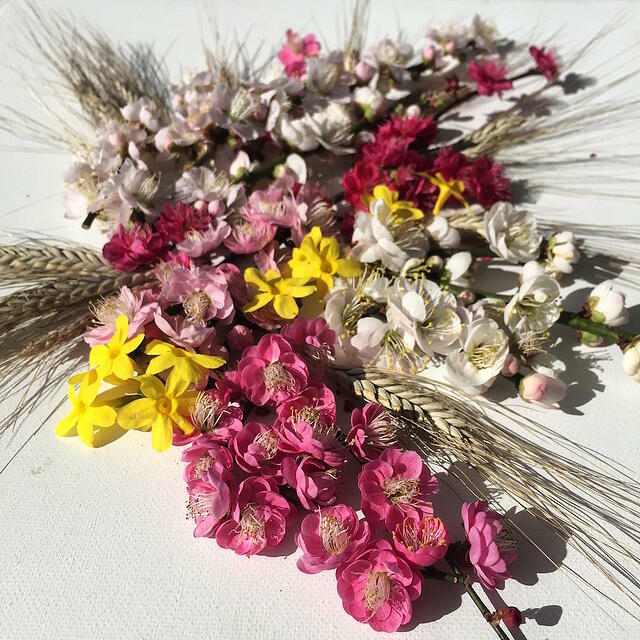 No matter what you decide to plant, be creative and don’t be afraid to harvest regularly and change your bed edges seasonally so they look beautiful year round. You can plant bed edges any season of the year, including through the heat of the summer. My favorite warm season bed edge plants include a variety of flowering ornamentals such as trailing vinca, marigolds, and coleus, along with edibles such as basil, peanuts, and peppers. Ideal cool season crops for the edge include arugula, garlic, kale, lettuce, onions, potatoes, and radish. 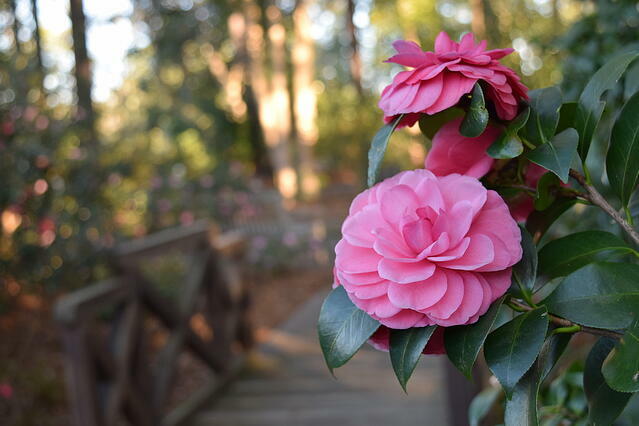 These varieties thrive in the Southeast during our cool season, aka September through April. Some plants will need to be harvested and replanted while others will continue to rejuvenate. All prefer full sun and Soil3 compost! Ultimately, the goal of Foodscaping is to show the vast opportunities that existing landscapes offer. From reducing your food miles and carbon foot print to eliminating food deserts in every community, planting an edible bed edge is an easy way to contribute to the world in a meaningful way. As professional horticulturist I strive to meet the needs of a growing population and focus on ways to extend the relevance of gardening in the modern American society. I am proud to see plants being recognized for all of the attributes they represent: beauty, ecology, health, wellness, nutrition, and lifestyle. Foodscaping is a design technique that embraces the heritage of home gardening while developing a new level of sophistication for modern day living. So join the Foodscape Revolution and harness the sun, soil, and irrigation systems of the everyday landscape!  Start using your growing skills to nourish your family, community, and environment.